For one night only, the Globe production of King John went indoors. The fifth venue on the King John tour was the Sam Wanamaker Playhouse nestled in the Globe building. The space couldn’t be more different from the churches, cathedral and the Globe itself. At the post show talks this week, Alex had talked about filling those big spaces and the reward of being able to play at the Globe after playing spaces where the acoustics were a challenge to manage. 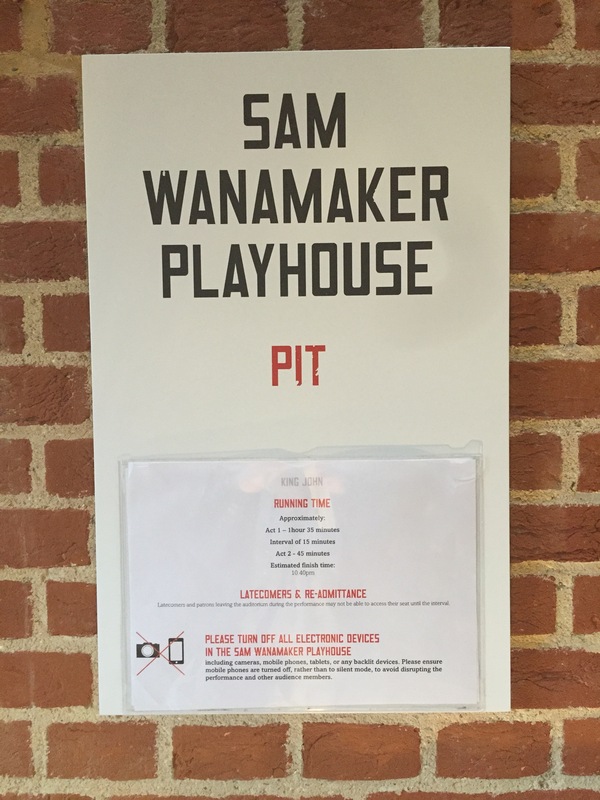 The Sam Wanamaker Playhouse is the antithesis of these spaces in that it’s small and very intimate. The actors are so close to the whole audience. Of course, there had to be several changes. The cross playing space wasn’t there. Several props disappeared including the chair John dies in and the chair Arthur falls to his death from. The fights were cut to a tableaux and some of the dances went. The actors’ voices filled the space. Alex was very strong. He adapted his performance particularly to the Playhouse space, using the balcony very effectively to comment on events and speak to the audience. At the end there was a standing ovation from some of the audience delighted at seeing King John in this special space. 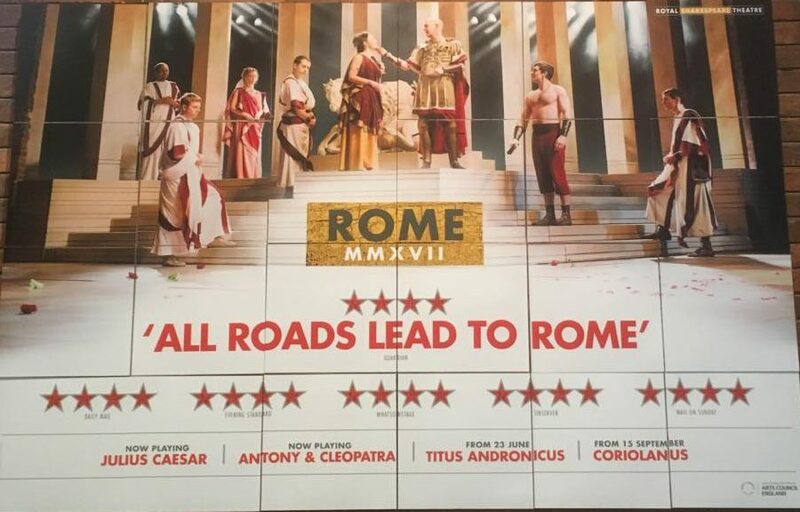 The production returns to the Globe today (14th June) for a matinée and evening performance.